I have the pleasure and honor of introducing Richard Turner, author of Black Dragon, which was launched on May 16, 2014, the sequel to Goliath. Richard is also the author of five other novels, also available on Amazon. Where do you find your inspiration for your fiction? From a couple of places. First from my experiences in the military, with thirty-one years of service all over the globe, I saw and experienced a lot of different things. Secondly, I have a great love of history and have read on everything from the classical period to the modern day. It’s amazing what you can learn when you delve really deep into a time period to ensure that what you are writing about has some basis in fact. What were some of the creative challenges you met while writing Black Dragon? The biggest challenge I found was the fact that I had never been to Mongolia, where a portion of the book takes place. However, having served in Afghanistan and Egypt, I was able to draw on experiences in the desert to create the environment that some of the characters found themselves in. Was there a specific event in the novel that you had to dig deep to find the story? The opening of the novel required me to do a fair bit of reach into the closing days of World War Two. Not many people are aware of the Soviet campaigns against the Japanese at the end of the war. Have you ever created a character who point blank refused to play by your rules? All of my characters are grounded in the real world. I have never met someone I couldn’t work with no matter what the circumstances were. 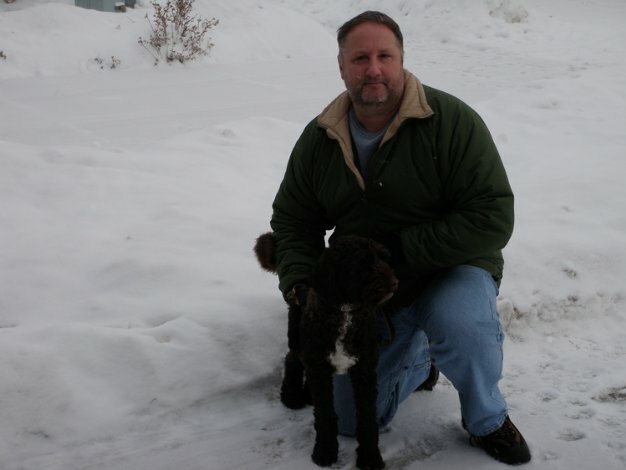 My characters, at least the protagonists, are based on people I have worked with over the years. Without giving away any of this gripping story, can you tell me more about this book or how you came to write it? This novel is a sequel to Goliath, which introduces Ryan Mitchell and his team of former special operations soldiers from all over the world. 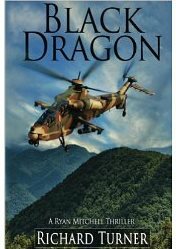 In Black Dragon, Mitchell and his people are pulled into a scheme to forever change the balance of power on the Korean peninsula. At first, they don’t realize what is at stake, but after some of their team members disappear, they swing into high gear to find them. It is only then that they discover a threat to the United States, one that was conceived in the dying days of the Second World War. — Thank you for answering these questions, Richard, and all the very best for the success of Black Dragon, your seventh novel. For a brief synopsis of this novel, see my previous post.